KAMPALA – A war is brewing up between government and telecommunications giant MTN Uganda as the state accuses MTN over dealings that are considered “prejudicial to national security”. The Military Intelligence on Friday, February 15 grilled MTN chairman Charles Mbire as the telecom giant’s woes with government escalated with the latest deportation of its top executives. Mbire’s questioning according to sources, was approved by President Yoweri Museveni who is enraged by MTN Uganda for trying to avoid paying more than $40 million in licensing fees. MTN Uganda Chief Executive Officer, Belgian Wim Vanhelleputte, who took the lead in negotiating down the initial assessment of $100m to $53m was on Thursday night kicked out of the country after Internal Affairs Minister Jeje Odongo declared him an “undesired resident” in Uganda. The Belgian expatriate had Tuesday been summoned to the Chieftaincy of Military Intelligence in a fresh investigation on the company’s dealings that are considered “prejudicial to national security”. Vanhelleputte was summoned by the military intelligence to answer charges that senior MTN Uganda staff, deported from the country last month were allowed access into the telecom’s system to carry on work remotely, apparently after attending an MTN Global leaders conference as part of the Ugandan staff delegation in Dubai a week ago. A senior intelligence official told PML Daily last week that Mbire appeared to answer same questions after intelligence got to know of the development, raising questions on why the deported officials should be allowed into a system on a territory where they are persona non grata. MTN Uganda has since remained tight-lipped on Mbire’s questioning. In education, as parents and students continue to wait for Uganda Advanced Certificate of Education (UACE) results on Thursday, February 28, the Uganda National Examination Board (UNEB) put an end to rumours after it confirmed the actual release day. UNEB confirmed that it will brief the ministry of Education about UACE results on Tuesday, February 26 before releasing them on Thursday. PML Daily will throughout the day bring you details about the results. In others news, cracks emerged within Parliament’s Committee on Commissions, Statutory Authorities and State Enterprises (COSASE) after its first report on the ongoing inquiry into Bank of Uganda developed cracks even before it is tabled. 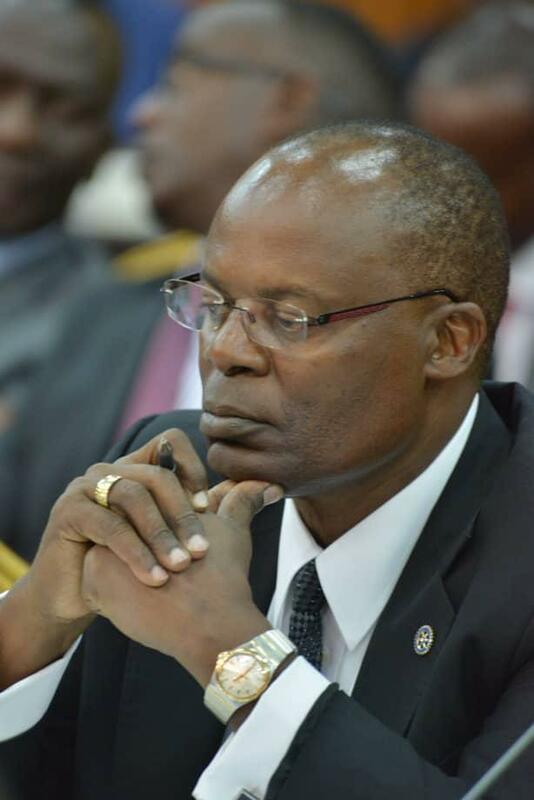 Dr. Luis Kasekende, the BoU deputy governor appearing before the Parliamentary COSASE members on Wednesday. The report in question is the interim findings of an inquiry on alleged illicit accumulation by Central Bank deputy governor Louis Kasekende and the former executive director for Supervision Justine Bagyenda whom the Committee ordered investigated in December last year. COSASE chairperson Abdu Katuntu on December 13 last year, appointed a three-member sub-committee chaired by MP Anita Among, Brig Francis Takira and MP Sheila Mwine to investigate the titles of land properties of the two officials and present a report to guide on the way forward. The appointment of the sub-committee followed documents tabled by MP Odonga Otto, showing that Kasekende owned 72 properties in and around Kampala and dozens of land titles some in the names of his relatives and his driver. MP Otto also tabled documents showing that Dr. Kasekende had transferred 18 land titles into the names of his driver a one Musitwa and 35 land titles into names of his relatives. On the same date, MP Elijah Okupa also presented documents concerning 11 properties that allegedly belong to Bagyenda in addition to asking the committee to summon the Financial Intelligence Authority over the matter. Details emerging from the committee’s work indicate that MP Among has challenged the interim report that seeks to exonerate the two officials saying the other two members of the sub-committee did not involve her in evaluating evidence and compiling the report. Some quarters say the report cannot be fair as Bagyenda might have comprised individual members of COSASE. They say MP Anita who was chairing the sub-committee threw out the report by the two MPs warning that exclusion of other committee members would make the report unacceptable. It’s not clear whether Katuntu will order for a re-evaluation of evidence or throw out the report all together but Ms Among has according to committee sources insisted she won’t allow the report in its present form. Leaving the embattled BoU, the impasse between Uganda and Rwanda is not about to end after Rwandan President Paul Kagame said relations between his country and Uganda are not about to stabilize because the Kampala regime does not believe in what Kigali officials say. 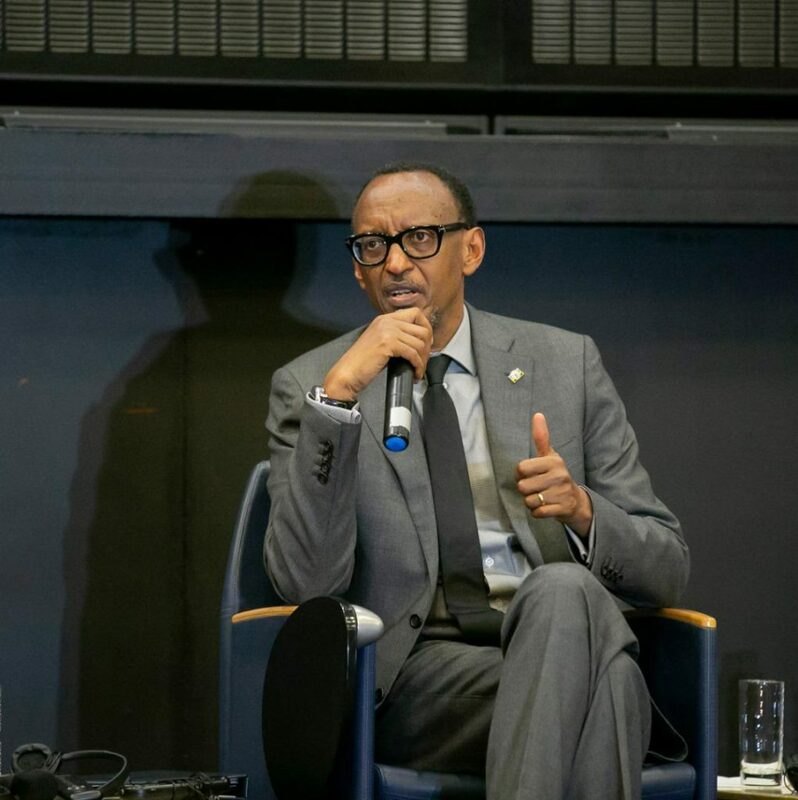 In an interview with The East African newspaper, Kagame said for long, the two countries have remained on tension because Ugandan officials continue to believe in what foreign-based Rwandan dissidents tell them as opposed to what his security officials say. Diplomatic relations have worsened since the two countries reneged on their earlier commitments as arrests and deportation of Rwandans by Uganda increased thereafter. Kigali accuses Kampala of backing Rwandan dissidents seeking to destabilise Rwanda while Uganda, on the other hand, has intensified its crackdown on Rwandans it says are on espionage missions in Uganda. In the interview, Kagame urges Kampala to tread cautiously because those feeding it with information about Kigali’s intentions plan to take the two countries to war. Capping an eventful week, the Vatican confirmed that Pope Francis will visit Uganda this year. According to the Minister of Lands, Betty Amongi, the Holy Father, as the leader of the Catholics is usually called, will be in Uganda in July for an African Bishops conference, under the Symposium of the Episcopal Conferences of Africa and Madagascar (SECAM). “The government has received a letter from the Vatican that His Holiness, Pope Francis is again returning to Uganda in July for a very important international conference. My ministry and that of Finance have been directed to renovate Namugongo Catholic Martyrs shrine and release the funds for preparation of the Pope’s visit,” she said. The minister made the remarks during the installation R.t Rev. Sanctus Linos Wanok as Bishop of Lira Diocese in Lira Town. The Pope was invited by African Catholic Bishops under their umbrella body, SECAM, which will converge in Uganda to celebrate its 50th anniversary. Pope Francis last visited Uganda in November 2015.